Kevin joined Maurice Power Solicitors in September 2011 having spent the early part of his trainee-ship with Kilroys Solicitors in Dublin. 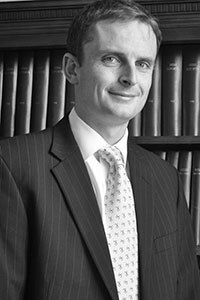 Kevin specialises in providing advice on a wide range of private client areas including professional negligence, personal injuries litigation, family law. He also advises clients in the agri and equine industries. Kevin also represents clients at District Courts in the Limerick County and City areas.